In Supernatural’s third season, the show seems to finally have found it’s footing and the newfound confidence makes for the best season yet. Rather than have one, pretty flimsy season-arc throughout, or even one central villain that the Winchester brothers must face, this season has one major arc and about three smaller ones. It is a show which is compelling, with each episode having future ramifications, subtle reveals and best of all, keeps the audience gripped. The first episode is a great example of their intentions. The finale of season 2 led to demons of all types being released from hell. Now Dean and Sam have to face them. The revelation that the first demons they face are the “Seven Deadly Sins” is a great hook and that kind of inventiveness continues throughout the season. This leads to the brothers facing all manners of supernatural beings, from fairy tales come to life, a dream-walking killer and two anti-Santas in one of the better Christmas specials. Add to this some recurring enemies, from evil Hunter Gordon, tricky mistrustful Bella and a demon who seems to be fighting on the brother’s side in the form of Ruby. The main arc is the over-flow from season 2 and Dean having sold his soul to save Sam. This is the key story which drives the season but also a really good tale to flesh out the characters further. Jensen Ackles gets the best of the story, being the character facing his own demise, and the cocky facade begins to slip in some great moments, notably one where he faces his own demon-self. 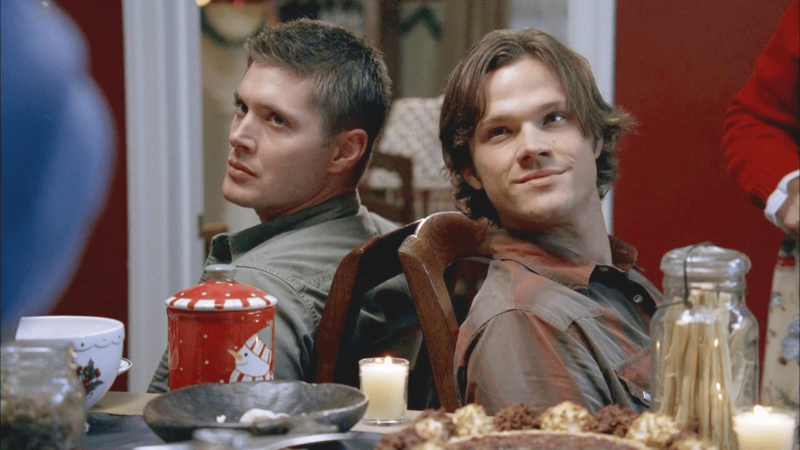 That doesn’t mean that Jared Padalecki as Sam is left short-changed. He strives to save his brother and one episode which plays with the Groundhog Day trope excellently and then takes a severe darker turn, makes for one of the best of the series but also results in a great performance from the actor. The success isn’t just down to the performances and the closer they get to the finale of the show, the second biggest success of the season reveals itself. The biggest weakness of the series, and it is a minor one, is that the “main villain” is revealed so late. This may be due to the “writer’s strike” which occurred at the time of filming and seemed to affect all the shows at this time but child-demon Lilith is a latecomer to the series. Lilith is a fantastic character though. The finale where she terrorises a family will have you on the edge of your seat and one scene where Sam seems to be able to kill the character will have you holding your breath in anticipation. If she becomes the main protagonist of season 4 it could be the best addition to the show. Of course, season 4 is teased excellently with the best cliffhanger yet. In a left-turn that many will not have predicted, Dean isn’t saved and instead we get an amazing final shot which makes for one of the best cliffhangers of any TV show, let alone this one. 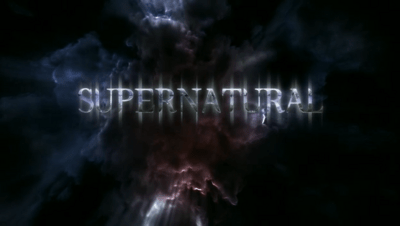 Overall, Supernatural’s third season is a show with confidence which uses its reduced episode count to full, creative effect. It may have lost five or six episodes but here we get multiple story-arcs, recurring characters, unique single-stories and a finale which teases a bigger, hopefully even better, season 4. Best Episode – Mystery Spot: What begins as quite a comical episode ends in a chilling way when Sam must live without Dean! Should there be another season? – With a cliffhanger as good as that, season 4 has to be a reality! Where will season 4 take us? Are you watching this for the first time now or is it a repeat? I really love this series, though I haven’t ventured further than season 5. I thought Lillith an excellent villain too! I watched it when it first aired but that was so long ago that I don’t really remember. I only got as far as season 4 the first time so I hope to continue a bit longer. It has great potential. The Trickster is one of my favorite antagonists that Supernatural has ever had, so Mystery Spot is definitely a high point for me. The only low point of season three for me was Bela, who I just didn’t like save for a few moments in a few episodes. And I was a little disappointed in losing FBI Guy whose name I don’t remember in Lilith’s attack on the police station. It was really nice to see someone who didn’t like the Winchesters and didn’t believe in demons and monsters come around on both instances. The Trickster was a decent villain (and I’m sure will be back in the future seasons). I know what you mean about Hendricks (the FBI Guy) but I can also figure that there only so many strands that they could carry through to the future seasons. As endings went, it was a good conclusion to his story.